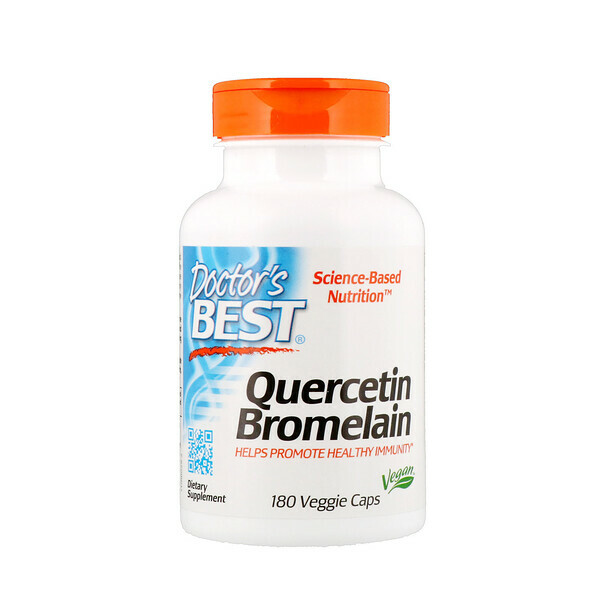 Quercetin Bromelain supplies the flavonoid quercetin extracted from seed pods of the Dimorphandra mollis plant. Flavonoids are potent protective nutrients found in many plants and foods. Bromelain is an enzyme derived from the pineapple. 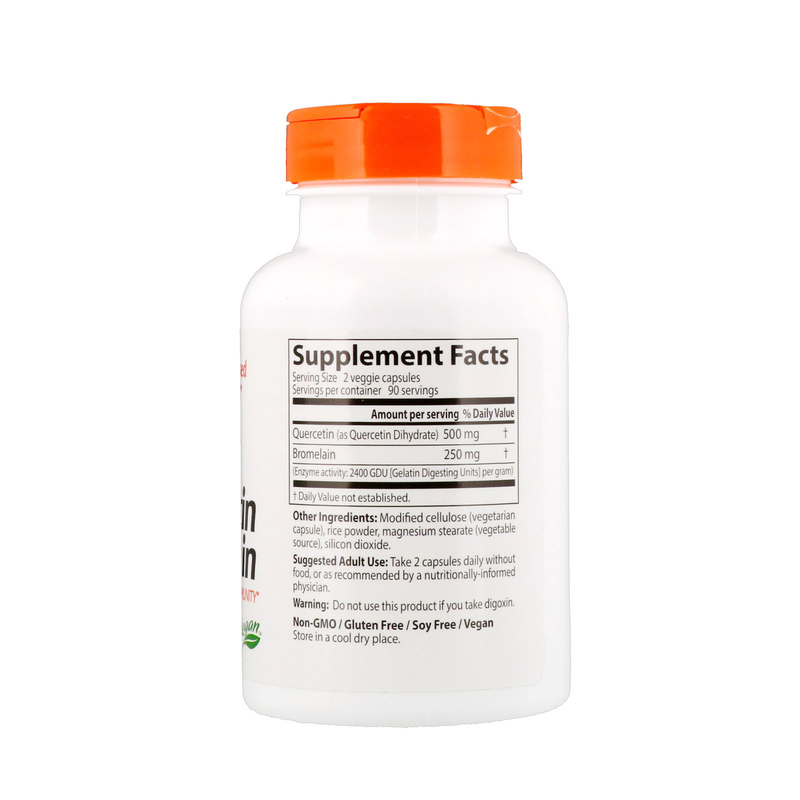 Quercetin helps ensure appropriate immune response, inhibits formation of free radicals and promotes circulatory health in part by supporting the integrity of small blood vessels. Bromelain complements quercetin for appropriate immune response and cardiovascular health, while also promoting joint comfort. Adult Use: Take 2 capsules daily, without food, or as recommended by a nutritionally-informed physician. Modified cellulose (vegetarian capsule), rice powder, magnesium stearate (vegetable source), silicon dioxide. Do not use this product if you take digoxin.